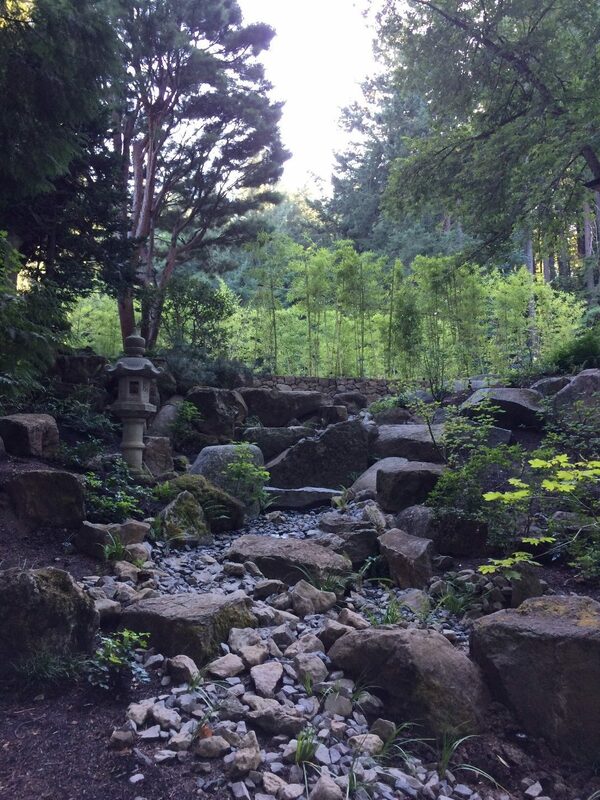 Living in the Pacific Northwest, we have a wealth of inspiration to pull from when designing and creating an Asian inspired garden. 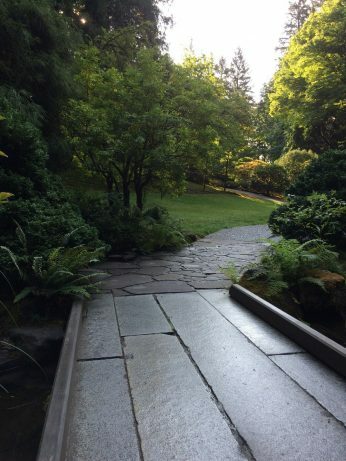 We have world renowned gardens such as the Portland Japanese Garden and the Lan Su Chinese Garden which, while very different from each other, use many of the same elements to convey a sense of serenity and a harmony with nature. These gardens also provide many opportunities to learn more about each culture and the symbolism and meaning behind each element of the garden. Great gardens engage the senses. They entice you with a smell (sweet blossoms in the air), a sound (a trickle of water in the distance), a sense of wonder (where does the path lead), and through the senses they lure you in. 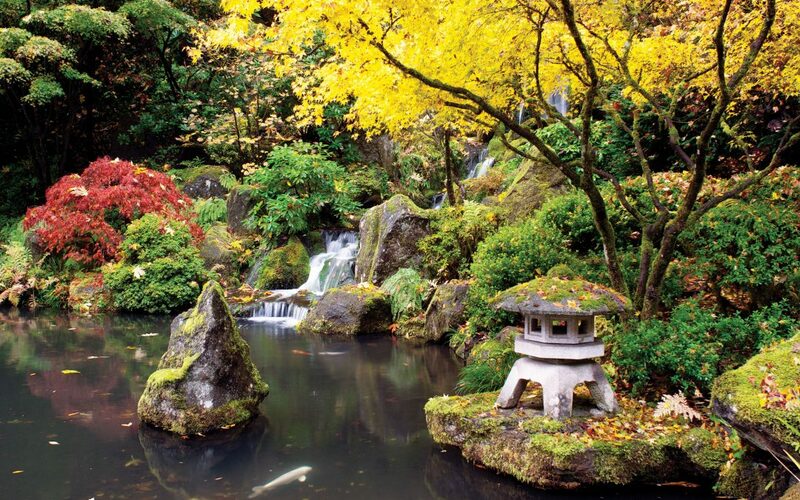 Asian gardens entice not only through physical senses but spiritual as well. They invite reflection, tranquility and a sense of simplicity. What would an Asian garden be without water? While some may have large koi ponds and waterfalls with meandering streams, a similar effect can be created through something as simple as a water basin. Water may also be “dry”, meaning sand or gravel is used to represent water and create a sense of Ma or empty space. Zen gardens use stones or boulders to create miniature stylized landscapes. 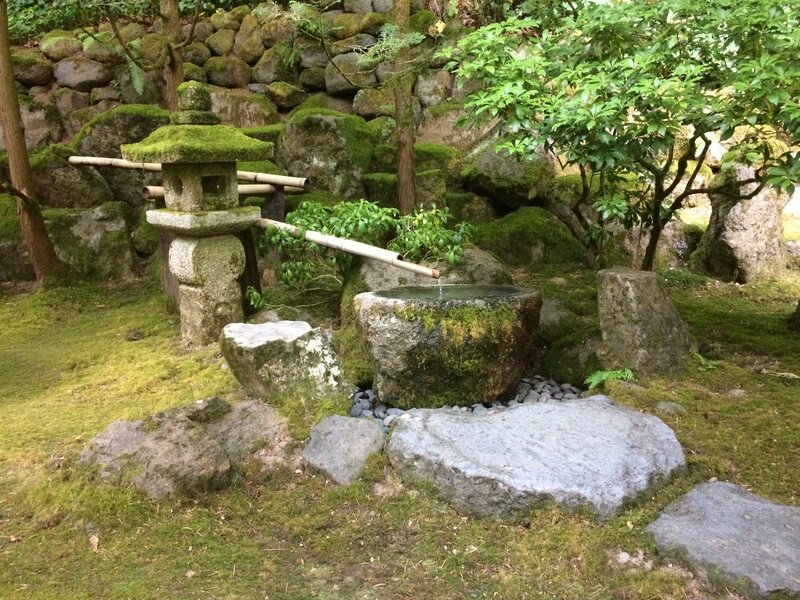 In other types of Asian gardens stones are used as the bones or structure of the garden. 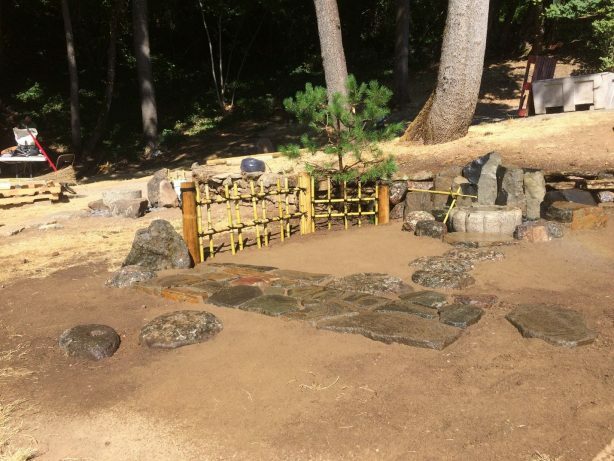 There is an art to setting the stones (sute-ishi) and in Japan it is taken very seriously. The way the stones in a group relate to each other, how and where they point and their placement among other groupings of stones is all carefully and artfully considered. Stones can have great meaning and symbolism often representing animals, the Buddha, and mountains or islands. The more age and weathered, usually the more pleasing and valuable the stone is. Stones are used as the bones or structure of the garden. This is what unifies the garden and sets the pace for strolling. Meandering, organic shapes with various textures and materials are preferred as a way to slow down the pace and aide in contemplation. ‘Hide and reveal’ is an important aspect to the garden with paths ebbing and flowing in and out, tucking behind shrubs revealing hidden scenes at just the right moment such as a borrowed view from a neighbor, a bench or lantern. A path disappears behind a shrub, inviting you to see what’s around the corner. In order to achieve the simplicity and contemplative nature of the Asian garden one must use a little restraint. Less is more as far as the plant pallet is concerned. Flowers in the Japanese garden are rarely the focus, instead the shape and form is what matters. Plants weave the garden together and soften the edges and lines. However, in Chinese gardens, blossoms are highly valued for their scent and symbolism with more varieties and color being brought into the garden. Some of the most prized plants have the patina of time, moss clinging to branches of maples and pines with dark gnarled bark pruned into symbolic clouds with great care. 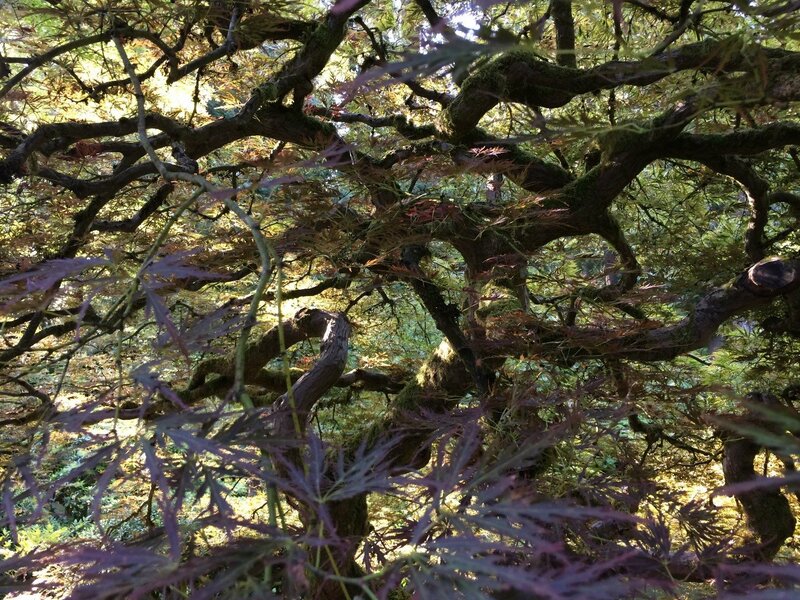 Azaleas, Pine, Japanese maples, Cherry and Plum, Iris and moss are some of the most common. 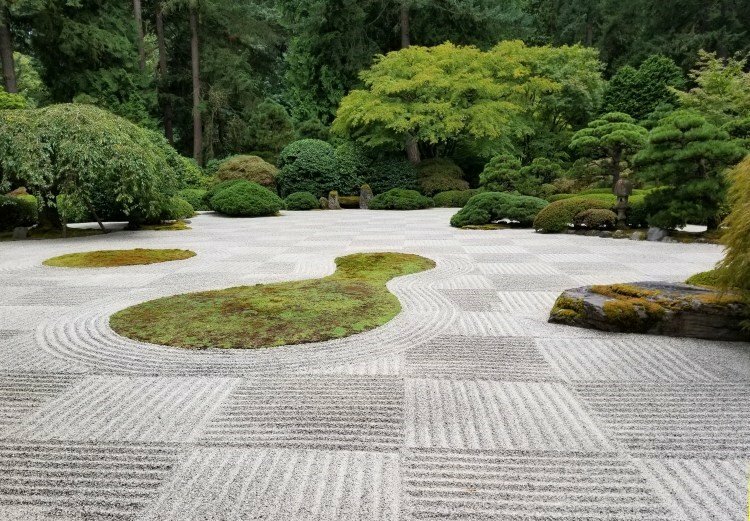 In Japanese gardens, shape and form matter more than flowers. One of the most important plants for the Asian garden is bamboo. Not only is it used for screening neighbors but also a useful material in railings, entry gates and water features. Architecture includes paths, lanterns, bridges, fences, gates, etc. With all these elements the beauty of the material and the skill of the craftsman are evident but never ostentatious. The patina of age is highly prized in architecture as well. A crack in a wall or the graying of bamboo eludes to the passage of time and is something to be appreciated. Reusing old materials in new ways, “mitate’’plays a part as well. Old tiles can get reused as edging for pathways and millstones can become stepping stones. Architecture displays the beauty of the material and the skill of the craftsman. Want to incorporate Asian garden elements into your landscape? Contact us to set up a consultation.